Profit Fade is a real term used by financial professionals to describe when jobs close with lower gross profit than was originally estimated. If your company is not maintaining a Work in Progress Report, known as the WIP, you could be building projects that do not make the anticipated profit. When a company does not make the anticipated profit, myriads of complications can occur. The WIP is a simple tool that shows estimated gross profit allowing you to address potential issues to not only try to save the profit on the current jobs, but to estimate future jobs correctly. Underwriters who approve bonding, loans and credit lines must rely on the contractor’s ability to effectively estimate. As a result, they spend a great deal of time analyzing the contractor’s financial statements. Maintaining accurate WIP reports allows management and creditors to analyze a contractor’s estimating capabilities by performing a fade analysis. 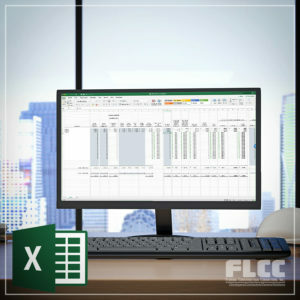 The fade analysis is calculated by comparing the actual results on completed contracts to the estimates used for financial reporting when the contract was still open. If profit fade occurs consistently underwriters will lose confidence in the contractor’s ability to estimate and can lead to lower bonding capacity and/or denial of credit lines. The primary function of this schedule is to determine revenue recognition and gross profit under the percentage-of-completion method. At the end of each accounting period, this schedule should be updated to include the gross contract amount, the total cost incurred to date and the total estimated cost to complete the contract. These amounts should be tracked for each contract individually and include any approved change orders signed after the reporting date. To accurately prepare this schedule the contractor needs collaboration between people responsible for project management and those responsible for internal accounting and the overall financial statements. The total estimated cost to complete an open contract is the critical estimate on the schedule. Without consistent communication from managers in the field, the finance department will have a difficult time accurately estimating cost to complete. In addition, the costs incurred to date on the WIP should agree directly to the job cost reports in the accounting system. If project managers are not maintaining an accurate and timely accounts payable system for job costs this can lead to errors in the calculations. The external CPA is also an excellent resource for assistance in analyzing and maintaining accurate WIP reports. Many clients use us as a resource for performing fade analysis on closed contracts, reviewing the reports for accuracy prior to releasing them to third parties and reviewing other calculations such as the financial impact of backlog projections. In working with many different types of contractors we have seen the benefits of accurate WIP reporting first hand. Bonding underwriters and creditors perform calculations such as the fade analysis at least annually and the results directly impact a contractor’s ability to secure bonds and financing. Excessive or consistent profit fade will restrict bonding capacity or in some cases even prevent the contractor from being able to secure a bond or financing. We have also seen situations where overly optimistic estimates of gross profit resulted in fade that not only undermines the credibility of the contractor’s estimating process but also results in accelerated income-tax on profits that were never realized. Small contractors without bonding needs should perform these calculations as well. Small contractors may need to look for bonding or financing as they grow and being proactive and maintaining accurate WIP will save time and money in the event they need to share financial statements with a third party. The WIP report is also the most accurate measure of job profitability and not only allows you to adapt to potential problems on an individual job it keeps an accurate performance history, so the contractor knows how to price future contracts. We are always a phone call away if you have questions, need help getting started or improving your financial reporting. One of the most critical management tools for contractors and subcontractors is an accurate and current WIP (Work In Progress Schedule). Knowing where you are financially on each and every job in relatively real time is actually quite easy if you understand the basics.